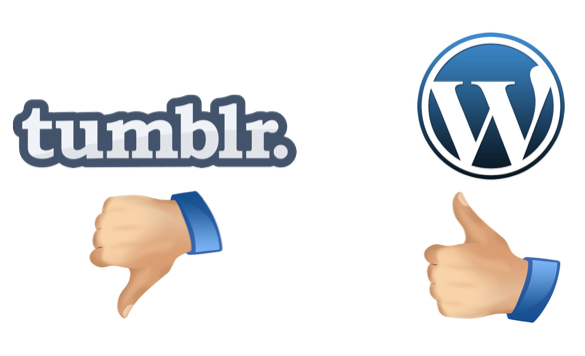 Even though WordPress is almost the default choice when one thinks of blogging, I chose Tumblr to launch my blog. Partly because of the hype it was generating and partly because of the customisation it lent. I was fortunate to generate lot of traction with my blog soon after launch – tweets, reblogs, share, etc. However, I realised that I was not able to access details of the above which other Tumblr blog owners could. Oh that horrible day when I created a ticket on this for Tumblr. Soon after, my blog went offline for days altogether. When it finally came up after continuous pleading to Tumblr guys, I noticed that all the data on sharing etc was lost! I again approached their tech / customer support but in vain. After a month, I finally gave up. I have now realised that while Tumblr might be a great platform when it comes to functionality, it is terrible from a support perspective. After a few months of launching my blog, I am finally relaunching it on WordPress. Looking for the same love and respect that you guys showed me earlier.